Happy 4th of July, everyone! The day when you express your love and gratitude to your country is here. Why don't you prepare a cute and unique outfit with us to go out with your friends and family to celebrate Independence Day? At 365 In Love/365 Printing Inc, we provide a wide selection of graphic shirts designed specifically to celebrate Memorial Day, 4th of July, Independence Day, Veterans Day, and all other patriotic holidays. Our graphic tank tops are made of breathable lightweight ring spun cotton that can ensure comfort when wearing. They are pre-washed shirts preventing from any significant shrinking after the first wash. All our designs are created, printed and shipped from California USA, and we offer hundreds of unique, cute, and funny designs for various themes and special occasions providing perfect and easy gift options for your friend and family at any time and for any special occasion. 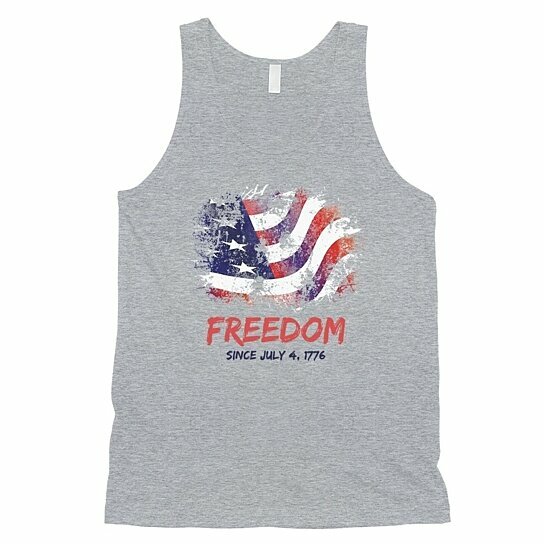 Show your love and appreciation of this country with 365 In Love/365 Printing Inc-Start Shopping Now!